Rattling through the sunburnt Mississippi Delta, civil rights workers broke into song. “Wade in the Water.” “Oh, Freedom.” “This Little Light of Mine.” Everyone on the bus knew these “Freedom Songs.” Everyone joined in. But one booming voice soared above the others. Deep and sorrowful, it seemed rise from the Mississippi clay. Soon all of America would hear that voice. 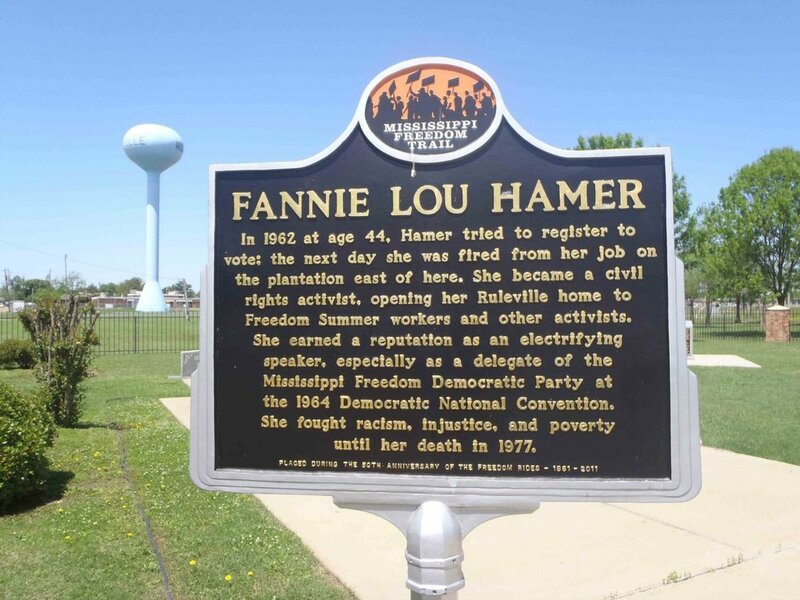 Until the summer of 1964, Mississippi alone knew Fannie Lou Hamer. 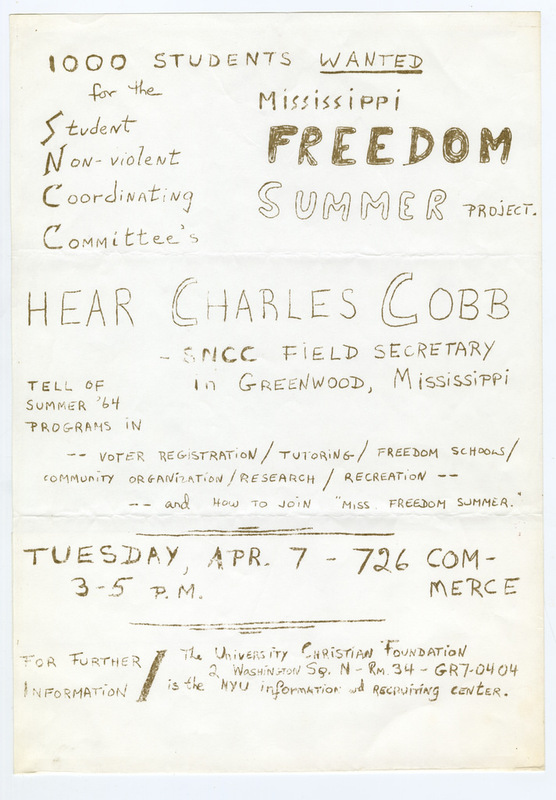 But at the end of Freedom Summer, after three murders and dozens of church burnings, she took the national stage. Mississippi Freedom Democrats had bused to the Democratic National Convention. Claiming they, not an all-white delegation, should represent Mississippi, Freedom Democrats appealed to the conscience of the Democratic Party. The challenge dragged on. An upset President Lyndon Johnson considered refusing the nomination. But when Fannie Lou Hamer sat before the Credentials Committee, Johnson called a hasty press conference, diverting network coverage. (See the story on the video below). Hamer spoke and TV carried her voice to the nation. “Mister Chairman, and to the Credentials Committee, my name is Mrs. Fannie Lou Hamer. . . “ A worried look came over her, but she steeled herself. Later she said she felt as if speaking from a mountaintop. “It was the 31st of August in 1962 that eighteen of us traveled twenty-six miles to the county courthouse in Indianola to try to register to become first-class citizens. . . .“ Blow by blow, she told America about her arrest, detention, beating. . . If not brimming with rage, she might have repeated -- “Is this America?” “Is this America where. . . .?” But with her voice wavering, she said “Thank you,” stood and walked off the mountaintop.